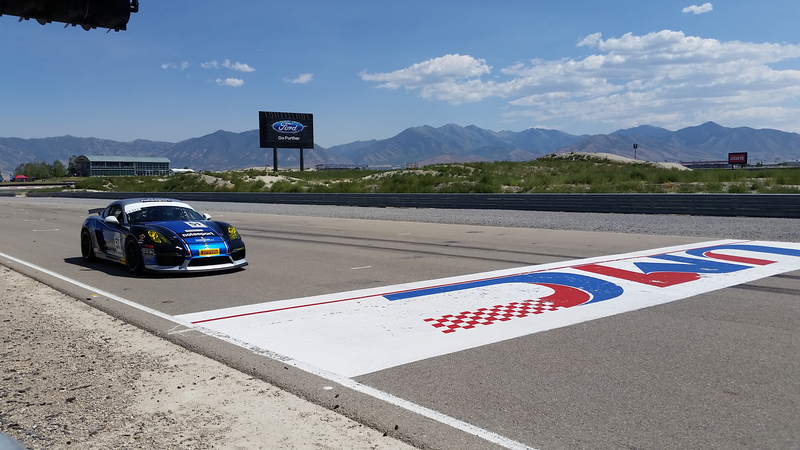 Toeele, Utah (12 August 2016) – Dino Crescentini took his fourth Pirelli GT3 Cup Trophy USA victory of the season with a flag to flag run up front at Utah Motorsports Campus on Saturday in the No. 34. Crescentini Racing Porsche 911. Scoring a podium result in her final weekend of racing was Air Power Racing’s Desire Wilson in second place, with Pirelli GT3 Cup Trophy USA championship points leader Robert Todd taking third in his No. 52 BR Racing Porsche 911. 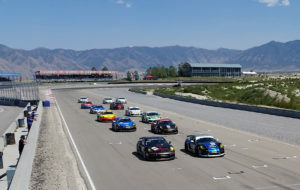 The 45-minute contest was the first of the double-header race weekend, part of the big Pirelli event at UMC which will also include the World Challenge races. Crescentini captured the win going away, but Todd got close on a late race restart, coming alongside and nearly taking the lead in Turn 1. 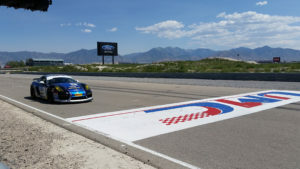 Wilson, with the weekend decision to make Sunday’s Pirelli GT3 Cup Trophy USA the final event of her illustrious career, was happy to take home second place on a track designed by husband Alan Wilson. Tom Haacker, who along with his TruSpeed teammate Jim Slavik and driver coach Kelly Collins won a NASA enduro at UMC last weekend, continued his run of strong results with another victory in the Platinum class. Platinum Masters saw Larry Schur add to his tally of victories in the No. 32 TruSpeed entry, taking the victory over Ray Shahi in second and Jim Slavik in third. The Silver class, comprised of Porsche Cayman Clubsport GT4 Cup cars, staged a thrilling battle as all three leaders simultaneously experienced the same off-track excursion in close proximity, but all three managed to turn to the track and come home with unscathed, if dusty machines. Emerging from the dust cloud to take the victory was Keith Jenson, who scored his second Pirelli Cup Silver Class victory of the year with the Nolasport-prepared No. 51 Porsche Cayman Clubsport GT4. Silver Class championship leader Kevin Woods brought the No. 94 Santa Cruz-liveried Cayman home in second for BR Racing, while Sean McAlister finished third for Competition Motorsports. Competition Motorsports’ Steve Goldman led the Silver Masters class wire-to-wire for his ninth victory of the season. 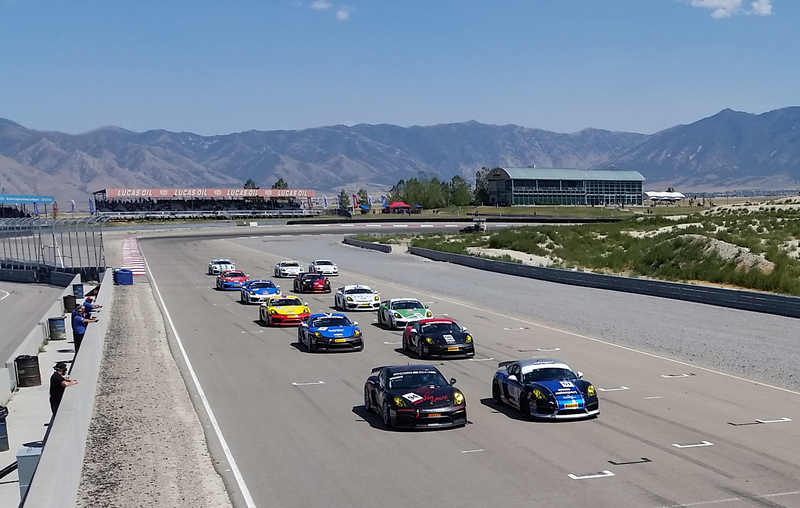 Race 12 of the Pirelli GT3 Cup Trophy USA will take the green flag Sunday at 2:45 p.m. MDT. This entry was posted in News on August 12, 2016 by admin.